The budget allocation of SKPD and UKPD, partner for Jakarta City Council A Commission is Rp 4.127 trillion in 2017 City Budget Draft.
" 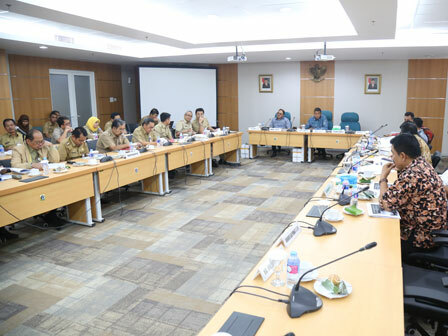 After being discussed with Balegda of City Council, the budget was added to be Rp 4.127 trillion"
Jakarta Assistant of Governmental for Regional Secretary, Bambang Sugiono, admitted that the budget was only Rp 4.04 trillion during KUA PPAS period with 9,593 activities. “After being discussed with Balegda of City Council, the budget was added to be Rp 4.127 trillion, or Rp 85.82 billion higher,” he said, Tuesday (12/6). His side also proposed budget for 11 RPTRAs. “We add Rp 4.3 billion for 11 RPTRA operational budget,” he added.